Dynamic data masking limits sensitive data exposure by masking it to non-privileged users. Dynamic data masking helps prevent unauthorized access to sensitive data by enabling customers to designate how much of the sensitive data to reveal with minimal impact on the application layer. DDM can be configured on the database to hide sensitive data in the result sets of queries over designated database fields, while the data in the database is not changed. 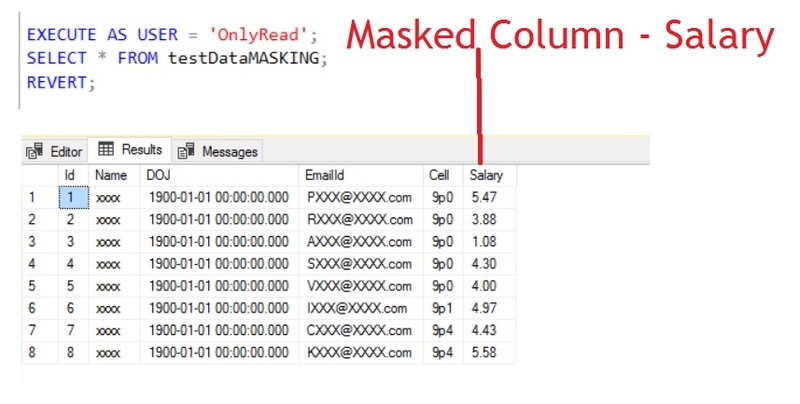 Dynamic data masking is easy to use with existing applications, since masking rules are applied in the query results. Many applications can mask sensitive data without modifying existing queries. 1. A central data masking policy acts directly on sensitive fields in the database. 2. Designate privileged users or roles that do have access to the sensitive data. 3. DDM features full masking and partial masking functions, as well as a random mask for numeric data. 4. Simple Transact-SQL commands define and manage masks. 1. Creating a mask on a column does not prevent updates to that column. 2. Any user can update the data if they have write permissions. 3. If you use SELECT INTO or INSERT INTO to copy data from a masked column then you will get masked data in the target table. 4. 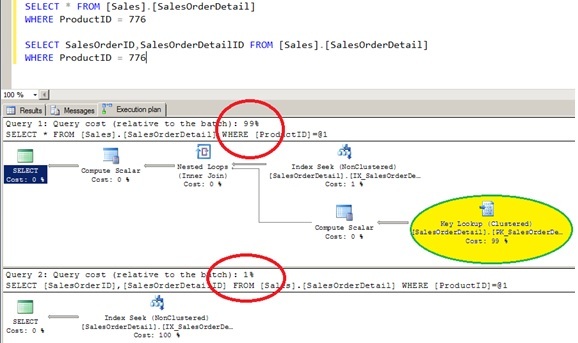 Dynamic Data Masking is also applicable on SQL Server Import and Export. 5. Masking is not applicable on following column types – Encrypted columns (Always Encrypted), FILESTREAM, COLUMN_SET or sparse column and computed column.